Jinkal Pujara is an associate in the New York City office. She represents employers in labor and employment litigation, including defending claims of wrongful termination, discrimination, retaliation, hostile work environment, and wage and hour violations. Ms. Pujara also represents employers in unfair practice proceedings before the National Labor Relations Board. Additionally, Ms. Pujara provides day-to-day counseling to employers to avoid costly litigation. She counsels employers regarding managing progressive discipline, compliance with state and federal disability and accommodation obligations, FMLA best practices, reductions-in-force, employee classifications, and implementing employment policies that are in compliance with state and federal employment laws. 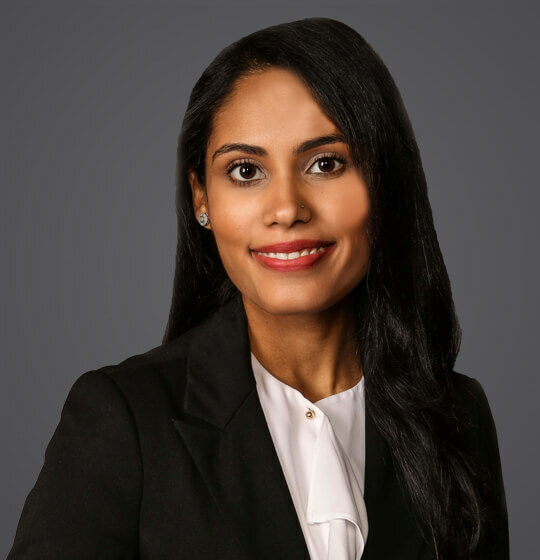 Ms. Pujara also assists employers during collective bargaining negotiations, employee grievances and arbitration, and during representative elections. Ms. Pujara has also provided anti-sexual harassment training to clients as well as presented on panels and CLEs regarding best employment practices.